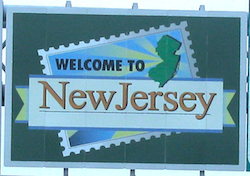 The New Jersey Division of Gaming Enforcement (DGE), working in cooperation with the New Jersey Attorney General’s Office, has issued a series of cease-and-desist notifications to a handful of largely US-based online poker affiliates carrying links and click-through banners to several prominent unregulated offshore poker sites. At least six US-based online poker operations are believed to have received a copy of the notice, which was first published by OnlinePokerReport.com yesterday. Five of the six affiliates were listed in a piece at the Canadian-based Gambling911 yesterday, but have appeared to have successfully pressured the tabloidesque G911 to remove their sites’ names from that story. To say that the letter opens up an interesting can of worms is, at the least, a significant understatement. However, it is not the first time that overreaching state-level officials have launched a wave of C&D notices toward the online-poker world. Back in 2006, Washington State officials launched a similar paperwork attack following that state’s passage of a long-ridiculed law declaring the playing of online poker a felony, in an embarrassing episode of political strong-arming by that state’s tribal casinos. However, the state was soon blocked by most major US-facing sites themselves, making the C&D notices largely moot. This letter shall serve as official notice that your website, by offering links to sites which may be offering unauthorized online gaming, may be promoting activity that is contrary to New Jersey and federal law. We request that you immediately remove any online gaming links that are not authorized under federal law or under the law of any State. The State of New Jersey reserves the right to pursue appropriate civil or criminal sanctions against you if you fail to take the requested actions. Those threatened sanctions include a $75,000 fine, and the letter also includes four sites which the New Jersey DGE and AG office state are operating in violation of New Jersey law — Bovada, Merge Gaming, and two prominent sites on the Winning Poker Network, America’s Cardroom and Black Chip Poker. The letter additionally asserts that Nevada and Delaware, the other two US states that have already authorized online poker, have similar statutes. Of course, no online poker sites are specifically authorized under US federal law, since no federal law addresses the topic, and in that regard the NJ/NV/DE sites are the same as all others. The UIGEA is a banking law, with no mention of poker, and the famed Wire Act reinterpretation by US Attorney General Eric Holder in late 2011 states that the Wire Act applies only to sports betting. Between the two, that means that the playing of online poker is legal in a federal sense wherever it is not expressly illegal, and that is the vast majority of US states. Therefore, while New Jersey statutes may indeed apply, the talk of “federal law” in the letter from NJ Assistant Attorney General George N. Rover is a nonsensical inclusion designed to intimidate and bully on behalf of the state’s perceived interests. And all of it precludes the fact that the offshore market is evolving away from the three regulated US states of New Jersey, Nevada and Delaware anyway. As can be seen by the copy of the letter sent to RakeTheRake (the OPR link above), the letter is dated April 17th, 2014, or more than one month ago. Therefore, it can be seen as the catalyst behind last week’s pullout from those same three states by Winning Poker Network sites Black Chip Poker and America’s Cardroom, two of the four sites specifically mentioned in the Jersey C&D. Whether Merge and Bovada follow suit remains to be seen, though Merge is more likely to do a voluntary pullout (and has reportedly already exited New Jersey, if not the other states); Bovada (the US-facing arm of Bodog) has long been more confrontational in its willingness to thumb its corporate nose at American authority. Yet as a piece on Bodog propoganda site CalvinAyre.com correctly notes, some of the affiliates in question simultaneous carried affiliate links to both regulated and unregulated sites, a low-level approach that was guaranteed to cause trouble. Whether affiliates should be forced to implement some form of geo-blocking is one of the questions being raised by this latest round of C&D’s, but it seems that a prominent disclaimer warning potential customers that it may be illegal to gamble from certain jurisdictions would serve the same purpose, transferring the ultimate responsibility to the players themselves. Other alternative solutions include the pullout from formally regulated markets as done by WPN sites (although there have been some indications that WPN hasn’t been rushing to boot those players off its network), those networks introducing proper geo-blocking as practiced by larger, non-US-facing sites, and of course, a shift away from affiliate marketing to a more traditional advertising model. That latter, as an example, could even include a renewed wave of the “dot-net” ads that overran major sports networks such as ESPN in recent years. For the affiliates in question, they’ve discovered that it’s difficult and unwise to wear multiple hats and serve both the regulated and unregulated sides of the same marketplace. Whether or not they face any actual legal difficulty isn’t even the point; what is true is that they made themselves easy targets by trying to profit from opposing factions at the same time.